This is my favorite time of the year. At least its my favorite time of the year for playing along with contests in Huddle. Games are big and boosts are bigger, and it leads to a ton of new players entering the fold. As we progress towards the Super Bowl, things will get nuts, and I wanted to make sure I lend whatever experience I have to people who are just starting their contest play for the first time. For the 2017 playoffs, Huddle has three contest types, and ill offer a strategy for each of the three. Be aware that trying to build a team that works for all three types is going to be ultra time consuming, and potentially very expensive. In light of that, Ill try to offer some advice to lower cost players. This type of contest is where Huddle began, and I wish it were the one that carried the best prizes. It requires the most skill, and even if you dont have the big gold boosts, its a contest you can still do very well in. The reason being is that people dont understand how to do this contest. They rarely study the points algorithm, and therefore they play the wrong cards. If you go to the news feed, and select “Tips” from the top drop down, there is an article for how to score. That is your bible, and should be taken very seriously. Here is what I mean. The tendency on a big TD is to play all the QB cards, because the NFL is a QB league. This is wrong, unless it is a short yardage score. The reason being is that WR get almost double the points per yard, and 100 more points for a score. If you play a 10x QB, you can actually score more by playing a 2x WR, which is kind of crazy. The more yardage involved in any pass play, the more WR boosts you should play. Trust me on this. Another aspect that many dont consider, is that with no lag this year, points are accumulated in your total the second the play becomes official at the start of the next play. Having the ability to just dump one player into a lineup is much easier than trying to search out the best cards for multiple guys. Play the WR and 85% of the time, you will be golden. For low cost players, 2x-5x boosts are available all over the place, so stock up on the right guys! Defense is also a huge game changer, as so few people recognize how important it is to play defensive players when the offensive scoring player wont get many points for the result. Tackles and Pass Breakups have HUGE point bonuses, as much as a Sack in some cases. Play the defender and get ahead of the game. This isnt as much of a secret anymore, but if you are stuck in the 100s, this can be the ticket into the prizes. Again, low cost players should target LBs and DBs across the board, because they arent the flashy players everyone chases. Bottom line, I have labeled this as expert level because you need to understand strategy to win. Hands down. If you have amazing cards but play the wrong strategy, you will not score in the top of the rankings. That’s a fact. Ah yes, my old nemesis. Fantasy style contests and I go way back, and we have had a love hate relationship. Because of the limited switches to your lineup, this almost becomes set it and forget it. Because of this situation, the research has to be done on the front end, and you can basically listen to any of the talking heads in the media for suggestions on who to play. I usually let past performance according to Huddle stats choose my lineup. I sort my available players by boost level in the filter options. Flip over the card sheet so it displays the points they got over the the last few games. Typically, this is where QBs and LBs shine. Both may not generate the most points on any given play, but from a total perspective, they generate the most points overall in any given game. That’s where the Huddle community is completely lost. They see Tom Brady get 25000 points on his gold boost, and think its the best card in the playoff set. It might be, but only in very certain circumstances. Fantasy contests are one of those circumstances. You want to play cards that will generate the most points for a whole game, and QBs tend to be the best cards to do this. Unfortunately, there is no skill involved in this contest, outside of picking the right guys. For some reason, Huddle thinks this contest should have the good prizes, but I dont agree at all. This is the type of contest that should generate prize tickets. Pick the best boosts you have, stick to the formula and try to understand that luck is as big a part of winning this contest as anything. The strategy is very much like Fantasy. Find the best point scorers for each game and have at it. Start with the 11 biggest point players from the first game, switch them out for the second game, so on and so forth. You do have 17 plays to toy with, but be VERY careful. That means if some crazy 90 yard TD happens, you can switch out PART of your lineup. Remember, it will cost DOUBLE the plays you need, so dont switch all 11 at once, or you will be short 5 plays in the last game. This is because for every player you switch out, you will need another play to reset to the original lineup. It will take 22 plays to get a full lineup switch, and that is more than the 17 grace plays you get. Its important to use all your plays too, so dont get to the end of the fourth game with any left on the board. You will not have hit full potential at that point. 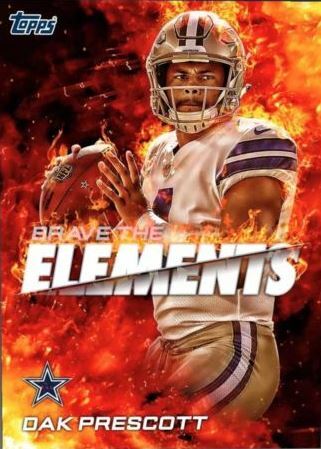 This contest generated the best looking cards in the Wild Card round, so it might be the one most people are going to try to win. That means more competition and higher boosts. If you are a low cost player, find the budget beasts and add them to your stash. Although the top boost available right now is 15x in the playoff base, there will be more cards that exceed that. If there are ways to obtain those cards through normal means, lots of people will be chasing them. This means a huge trade market. If you arent looking to add to your collection, this might be an opportunity to strike while the iron is hot. Acquire the card and claim an above market trade value before the major players all get the amount they need. This will be especially true when the Super Bowl base set hits, as well as higher boost inserts that are surely coming. Remember, without strategy, a 25x card is only as good as the person who is using it. Grabbing a few 15x cards to fill holes in your lineup, is very much worthwhile. If you are a collector, it might be different, but that is a different blog post all together. Any given Sunday, any team can beat any team. That means there is a shot Tennessee knocks off the Patriots. However, investing in Titans boosts over Patriots boosts likely isnt the best strategy. Based on prospects for continuing in the playoffs, here is how I rank all 8 teams. I would easily come up with your own rankings and find out what you can do to get the boosts that you need. 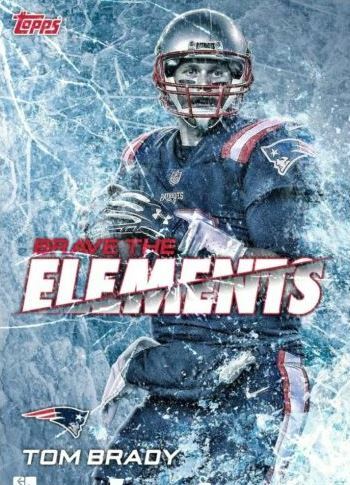 Its likely going to be a Patriots vs Steelers AFC title game, and that could be as much of a toss up as ever. Falcons are likely going to beat the Eagles without Wentz, and the Vikings/Saints is another toss up. Keep that in mind as you invest, especially for low cost players. If you invest wisely, you wont be stuck with playoff boosts that have no value past the end of the game. Im going to close by saying its important to play along with every game, and stay on top of the injury reports and stuff like that. Make strategic calls in your game outline, and have a plan. Most importantly, have some fun. This is going to be a fun few weeks, and I am so pumped to get back to the Super Bowl when Huddle really unleashes the fun stuff. I have been on a soapbox lately, and I dont see any reason to step off quite yet. We have seen a SHARP decrease in limited content delivered in any reasonable sized manner, and when limited stuff does hit, its buried in sets that really dont have any other residual value. Bunt has been hit especially hard, because so much focus was put on propping up marathons like Signature Series and Limited, even though counts werent as low as they had been in the past. SWCT has routinely focused on delivering cool and well designed cards, even though the card count factor has sadly been relegated to an afterthought. Although variants have taken a back seat (and rightfully so), the delivery of super premium content also left alongside the unwanted bloat. I have preached that limited content should never be phased out, especially with so little reason to continue spending outside of getting some of these major collection pieces. Obviously, using limited content as a crutch has worked some disastrous consequences too, which is why balance is so important. Today, both SWCT and Bunt released the most expensive packs of the apps in the year, with SWCT creating the most expensive pack ever offered in any app. In both circumstances, the packs were poised to deliver in ways everyone was desperate for, and it drove some very good conversations on how these types of releases should be done in the future. The Star Wars packs took a very specific approach to hunting whales today, and though it drew some venom from the community, Im not sure how many people saw that it was based on the Stellar Signatures format from SW physical. Insanely premium content delivered at a price that very few individuals can afford, or at least afford alone. Although I wasnt as impressed with the design of the cards, the format definitely perked up my SWCT antennae unlike anything this year. Its too bad that the app has decided to make these types of releases basically unattainable for 99% of the app, but that doesnt mean a group of collectors cant band together to buy a box for themselves. 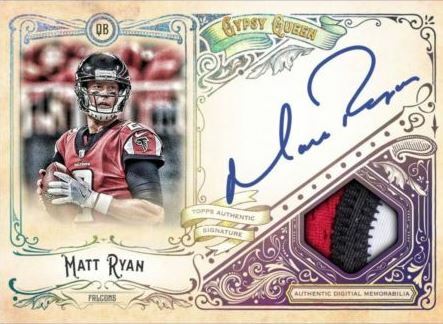 This is the way things are done on the physical side, and when you see that Topps Transcendent baseball retails at about $25,000 a box, it becomes obvious that group breaks are the way to tackle a release like this. Multiple people putting down a 100 bucks is a lot easier to stomach than 1 person dropping the $1500 after tax. The Bunt “Black Ice” packs brought back an old fan favorite, vastly improved with the new Motion effect that we saw with Huddle’s brave the elements. The Frozen Phenoms set was originally released in 2014, and instantly became one of the most highly collected sets on the app. Bunt also brought Definitive Collection to the app, which are some of the best looking cards Topps Physical has made. These cards were all 35 count and under, and looked tremendous. Adding those to a pile of Heritage signatures and 1/1 gold signature variants of the original sigs from the season. Packs sold in crazy fashion, because as I have said, this type of content HAS NOT been available in a collected fashion like we saw today. We need more of these types of action packed releases, especially with great looking cards like we saw today. THIS STUFF CANNOT BE FORGOTTEN. PERIOD. If you arent going to support a more game like collecting atmosphere, you cant continue to bore the whales with so few sets that are offered like this. It helps every part of the app to bring cards that are sought after more than any other cards. It gives people reason to hop on the trade ticker, it gives people a reason to chase sets that they wouldnt normally chase, and it gives a lot of people a beacon that someone out there knows that playing to the lowest common denominator doesnt always work in an app where people are expected to spend real money for intangible digital collectibles. I am NOT saying to ditch the ways of the past 12 months – just augment. Augment and create balance. I think we are seeing a growing focus on bringing strength back to the marathons in each of the main sports apps. Doubly so for the velvet rope version of the marathons, like Signature Series and Limited. I love both of these sets, and I feel like they get should get attention like none other in both Bunt and Huddle. From a design perspective, both have received that treatment, but for a number of different reasons, I havent been as impressed with some of the checklist choices. This brings about the discussion of how important the management of these checklists needs to be explored through the entire run. Because of injuries and play on the field, there needs to be a ton of flexibility in direction. Its clear that the checklists are made well ahead of the season, and I have some reason to believe that they can be edited midstream. Either that, or there are just some lucky guesses on impact players that could emerge. With that, is it better to reserve these two specific examples for the best of the best, even if it means that some players get repeat appearances year over year? I think the short answer is yes, with the longer answer being yes*. The asterisk recognizes that half of the top stars in the NFL are on injured reserve (not an exaggeration) and rookies in MLB stole the show in 2017. Factoring both of those in to edit checklists midstream should definitely be a factor. The sports apps are the houses that signatures built. 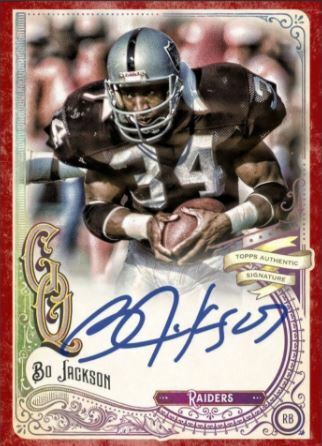 Regardless of any argument that some series of cards have attained similar or nicer value, the signature series marathon in a sports app is the steak, every other set is just a side dish. Some side dishes in real life can be life changing-ly good, but we go to a place to eat because of the main course. Signature Series has always been a top delivery mechanism in the apps, and for the most part, it worked out well in both Huddle and Bunt this year. My only complaint has been some of the “B” tier guys who have made appearances – more so in Bunt than any other of the sports apps. The team wants to show deep cuts in every one of their marathons, but I dont think anyone complains when Kris Bryant and Mike Trout appear every year. When you have a premium marathon, in my opinion, the names are almost double the importance of the card counts. That doesnt happen frequently. This is where I have some complaints, on both sides of the landscape. Because numbers can get extremely low for top position players in both the NFL and MLB, it can be detrimental to offer those cards in a set based atmosphere. 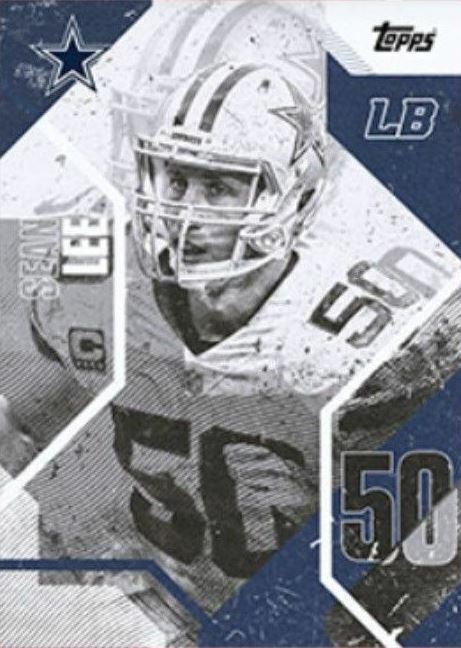 In previous years, Huddle has offered variant levels for the set collectors to chase, which have given opportunities to use some of the main center stage guys, even when their number is low. This year, both apps chose a “no variant” approach, which forced the low number players to be almost disqualified in lieu of offering a set award, which I dont necessarily think is required when all is said and done. If the Bunt team and the Huddle team feel a set award needs to happen, then at some point they have to come up with a strategy that doesnt force all of us to stomach high number player after high number player, especially with what we are seeing in Huddle. Considering that in Huddle you cant open packs of Limited without paying real money, it creates more resentment from the community when the checklist is jammed into a method that doesnt strike the right notes. Adding fuel to the previous paragraph, Huddle has elected to use a pattern for their Limited release, that I really dont think is a great idea. There is a jersey number crisis in the NFL, and it doesnt bode well for a set based on that stat. For the first two releases in a marathon leg, they choose players whose numbers are either in the 80s or 90s. Because of NFL rules, that knocks out everyone who isnt a defensive lineman or a receiver/TE. Obviously there are some great players in that category, but historically defense doesnt matter in Huddle, and guys that deserve to be a part of a super premium marathon set are very limited – pardon the pun. So far, we have seen guys like Miles Garrett, Zach Ertz, and others that dont fit along side guys like Dez Bryant and Jordy Nelson at that level. The next card is a player who is in the 40-50 range, which is even narrower of a scope. We are talking mostly linebackers, with some lineman mixed in. Unlike the receiver bunch, there are practically ZERO players that should have a place in this marathon. The last card in the leg is a player in the 20-30 range, which has been a running back both times. This is the area they should START to look for their main cards, with a lot of players occupying this space, but having the smallest part of the marathon due to the pattern listed so far. Also, because of this, it means every single one of these players needs to be a home run, and Demarco Murray is definitely NOT that. With most of the QBs, faces of the league and top guys being in the 25 range and below, all of a sudden, the conundrum is real. You cant have a limited set based on jersey number in football without ripping out the most important players on the field. I think this fact is slowly sinking in, and hopefully is corrected as the rest of the set plays out. On the Bunt side, we have seen Limited used as what I am labeling as “just another marathon” with a level of player quality I just dont get. There were a few players released this year that I hadnt even heard of, and that’s a problem for a set as premium as Limited is in Bunt. I get that the team wants to show off their roster knowledge and highlight underappreciated players in the game. My argument is that Limited Series is not the place for that to happen. This is the place where the Giancarlo Stantons of the world get their time in the sun, not Justin Bour. Bottom line, I think the Topps Digital apps got a bit gun shy when building out a variant strategy after the last few years was almost 100% based on them to be successful. As a result, we have seen the pendulum swing almost the entire opposite direction on including parallels in a set release, and that is bad in its own right. The goal of all of our complaining was not to strip away the elements of the sets that made the apps fun. Card counts being displayed, fun variants to chase and trade for, etc. When you remove so much of that element that we are left with what we have right now, its just as bad as it was the other way. The team cant use variants/parallels as a crutch, first and foremost. Thats when people get pissed. They also cant remove them completely, because some of the super premium bundles become a slot machine pull when that happens, and the apps arent fun when we are expected to gamble our hard earned money on cards with no tangible presence or functional usage. Hopefully as both sports inch closer to the offseason, we see a strategy that can focus on bringing back the balance we all loved back in 2014 and before. Even though I havent posted a lot here lately, this is literally one of my favorite weekends of the year for digital cards. Not only are there offers across all the apps, but Huddle literally goes nuts. Rightfully so, as the country has basically made Thanksgiving a football holiday, and as a rabid fan, I am definitely thankful for that. This will end up one of the most insane couple of days in the app outside of the Super Bowl, so get ready to rock. Here is where the day gets really interesting with a new type of card. Not a new set, but literally a new type of card. For a long time, the best animated card we had was anything parallax, and most Android users never got to see what that was all about. With Topps Focus, we have seen video cards in the apps, but nothing like what we are going to get with the new Motion type cards. Basically, these are animated cards with special effects, but should be something that can be visible without hitting “play” on the card. That is not only freaking awesome, but they have used a fan favorite vehicle in Brave the Elements to bring it to life. I absolutely love it. This is the kind of set I have been waiting for all year. Filled with super limited content, in a huge checklist, with no waved type structure in the release. Get it all and get it now, and oh yeah, it has a great design to boot. 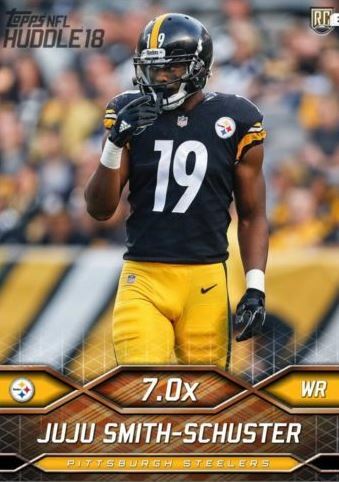 For super premium collectors like myself, we are tired of paying huge cost for a pack and ending up with a 1:100 shot at one of two limited cards. This is much differently structured, and still not all the way to what it could be, but we are making a lot of progress here. The signature relics are amazing looking, as they were in Baseball, which are complemented by a great parallel structure that includes some very valuable cards if Bunt is any indication. This is another yearly tradition and a godsend for many game players who arent going to drop coins on premium diamond packs. This might be the first real boosts available in coin packs, and hopefully people took advantage of the opportunity. At 7x, I would guess many of us will still play these types of boosts into the playoffs, and that means these types of cards should be chased for all contest players. This set looks great, and is made by Tyson Beck who does all the Fire sets and Arcade from previous years. I absolutely love the design of this set, and as a cheap win for F2P players who want cool sets to chase today, this one is definitely a good one. Lots of players on the checklist without a lot of cards, including ones that are part of today’s games. More of the Huddle Thanksgiving tradition, and another year that I think this set might be one of the better chases for the entire holiday. Big checklist, nice award card, and of course, cheap packs that F2P players can afford if they have saved up a good chunk of coinage. I think that for a physical baseball set that has transitioned over to the digital side, this is a really nice way of reworking the old favorites. This was originally a retro set, so its kind of odd to move it to more modern looks, but the design is nice enough for that to work. We will get a batch of these for each of the three games, and each will feature a current player alongside a legend for that team. Being a Vikings fan, seeing Keenum and Cunningham on the card together is actually one of the more interesting and well thought out pairings I have seen in the app to date. Read the story of both QBs, and it will be more clear why its so intriguing. Ah yes, the one set that always makes my day. This one is no different, and if I had to guess, these cards were built a while ago. Not only are there players that are out for the year, but clearly featuring some players that just arent having great years. It is still cool to see these cards every year, as they have become a tradition. They look awesome and the higher boosts help. Wish they had low count variants, but that hasnt happened in the past either. 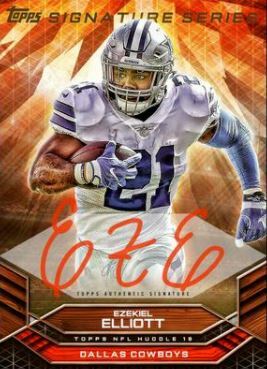 I really like the addition of the letters this year, as this is a type of card that really hasnt been explored all that much in digital, despite being EVERYWHERE in physical. The rest was just the standard hunt format, chase down letters for a set to get the reward. This isnt my thing normally, but with the new type of card in relic format, I was in for a few packs. Overall, this is honestly just the beginning, as Black Friday and Cyber Monday will keep this party going. Its going to be interesting to see how this all plays out as the sets come into focus, especially if Inception is on the radar. We need some nice low count cards, as I find myself chasing ghosts in a lot of ways with tired third waves of previous sets, instead of dropping bombs like with Gypsy today. Cant wait to see what Huddle has on tap. Today is the first big day for NFL contests, and with it, some awesome prizes. If you are like me, and have been waiting for this over the last 4 months, its literally a religious holiday. Most people who play Huddle struggle with the contests at first, and I wanted to make sure vets and rookies alike had an inside track. Here are some very basic understandings of where the nuances lie, as well as a few changes for this year. If you dont have NFL Red Zone, what are you living in? The dark ages? It is insanely fun to watch, first of all, and second of all, is hugely important for Huddle on Sundays. Because of the importance around having the right cards in your lineup at the right time, Red Zone clues you into when those things happen in real time. As you will see, one of the big changes we saw on Thursday night is lag time, and this channel has become all but the most important tool of the day. There are twitter accounts that list all the touchdowns as they happen too, so if you dont have access to the show, follow one of those accounts. Speaking of lag time, this looks to be one of the big changes over last year. It used to be you had 4-6 plays before scoring would hit the feed and it gave you time to switch out guys. I was seeing plays hit the feed within seconds of play completion on Thursday, but it may have been the scoring glitch as it was, and could be different today. Either way, Topps Digital mentioned publicly they were looking to change the scoring providers for this year, and it *SEEMS* like this has been correct. That means, when you see a TD or big play happen, switch fast. This early on in the season, it can be hard to have a lot of stuff to play unless you have been ripping packs like a maniac. On long plays or touchdowns, I have one rule and one rule only for unlimited switch contests – ALWAYS PLAY THE GUY WHO CAUGHT OR RAN THE BALL THERE FIRST. This is even the case for boosted QBs over less boosted WRs. Just play all the receivers first, hit save (lag is short! ), then put in all the QBs to fill the gaps. If you dont have enough of either, playing the defensive player who made the stop can work too. If you have a lot of experience, this becomes second nature, but I promise you, to save time and score big, just play the receivers who make the catch. In contests that are limited switches allowed, this is where QBs make their money. The only time Im moving out QBs to burn valuable plays is on longer TDs, as the cost of switching out guys and burning plays can be huge. I havent seen fantasy contests yet, but if they come back, just play defensive guys who get a ton of tackles and QBs. Period. Every team has a Thursday night game, so that’s not as big a factor in chasing down the bigger boosts. When it comes to Sunday and Monday night, thats where some teams have the advantage around nationally televised games. These games usually have dedicated contests, and if you can stock up a few weeks ahead of schedule, you will reap the rewards. Teams like Dallas and New England will have a lot of these types of games, as will Green Bay, New York and Pittsburgh. I use my cards from teams like the Browns and Jaguars to add in as throw aways to get cards from these few teams. With dedicated contests, these cards will put you in a spot to score larger to hit prizes for the leaderboard spots, which will get you sigs and relics across the board. GO boosts and perma boosts are part of Huddle culture and will always be a focus in an app that has such high participation in the contest side per capita. There will be an escalation of boost level through the whole season, so please do not expect that pink will be the last boosts we see. By the time the season is over, we will end up seeing at least 10-15x by the playoffs and 40x-50x by the Super Bowl. Keep that in mind as you are trading, I would probably stay away from hoarding pinks, unless you can get them for cheap. Im not trading limited inserts to get them, as I know they will be made obsolete by higher levels eventually. With lag what it looks to be, you need to be sure to choose the right contests to make the biggest splash. As we see, there are premium prizes for premium contests, and if they continue to look as cool as they do, I would expect them to be quite valuable. I have yet to see a contest that costs more than a daily bonus, so that would suggest they want to make these quite accessible. Last year’s contests in Huddle were a blast – especially as the playoffs got going. Make sure to get involved at some point to figure out how to play. Last year, there were physical prizes awarded at the end of the year, and it helps to have the goods to compete. Celebrate people! Here we go! Ahhh yes. The best time of year. Football is back, and everyone is raring to go knock some teeth out. It also means the start of Huddle for the year, and with it, a fresh new set of Marathons. I was curious to see if they went about it the same way this year, considering last year got a bit dicey early on with Bundle buy ins. Now that diamonds have simplified the whole situation, I am seeing some major progress towards keeping value in the cards before eBay drives all prices down to nothing. Similarly, the addition of the weekly collection award for chasing down all the base marathons are a huge help to creating a market on the trade feed. People will want to make sure they stay within the lines for whatever card is being offered, and this could not be a better opportunity to create buzz. To make things even better, the addition of rookies and 2017 preseason game photos add a level of authenticity that we never had the chance to get in previous years. Rookies were always left out until much later on in the season, and it left a void that had always been huge. Week 1 cards include Brandin Cooks on his new team, which shows the level of dedication the Huddle team had in creating these, instead of resorting to what they already had done. With approval processes in place that have likely made things difficult in the past, prep for 2017 is clearly on point. This year also marks the second year that Topps Football is without a physical license, which means that Huddle is the only source of Topps in the NFL this year. 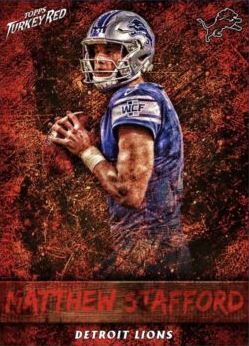 Luckily for everyone, TOPPSCOREY is a maniac, and might be the best designer in the stable they have. Here is a breakdown of the first few glimpses into his handy work. This is one of those sets for people looking for a good chase, but dont want to spend that much trading or ripping packs to get the ones they need. I think the look is going to be one of those situations where no one’s jaw hits the floor, but that we kind of expected that to happen. Overall, this is the weakest one there is, but could end up getting much better. I think this is one of the strongest fan’s choice designs I have seen, and Im glad they moved away from a retro look to deliver an original take. The quality of this marathon depends on two things – the choices given to the community and the way the community votes. So far, Joe Mixon has won, and that’s a bit representative of the way this whole thing can go. A new marathon for 2017, this is based off of Bunt, but seems to fit much better in Huddle. I really like the design, and I think it could be cool to see the different players they chose for this set. I believe these will be built around the Thursday night game, and hopefully we can get some color rush goodies to match in some other fashion. I love the relic design this year, and though Im not a huge fan of the set overall, I think its a pretty cool look after a drab few years the last couple of go arounds. With a dual relic set also in play based on contests, who knows where this might land in the hierarchy of value. Another year, another great looking design for this set. Unlike previous years, the Gold variant has a different photo, which has been the case in Bunt for a while. 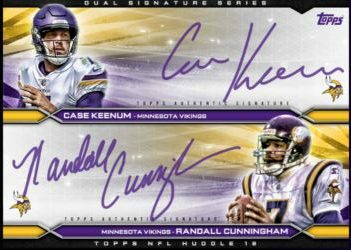 It adds some allure to chasing both sigs, and I cannot wait to see the checklist. This could end up being a tough set to complete, with diamonds limiting the availability of the variants to farmers. Another great byproduct of the change, as these cards shouldnt tank as fast. This mirrors the legends set from last year, and it might be the best looking marathon of the bunch. This could end up being a velvet rope type marathon in the end, with 1000 diamond packs being the only way to get the signature version of the set. Considering how awesome this stuff looks, it should end up being the most valuable to collect and stash away. So far, my favorite new addition this year. Limited – We havent seen this set yet, but we know its coming. Depending on the way the set is configured, these will be some of the most valuable cards in the app. Street – The Weekly award is a signature street card, so we have to assume these will be a set of some sort this year. Man do they look cool, and I am so happy these are back after being gone last year. Dual Sigs – As part of the tournament structure, there are dual sigs that look really freaking cool. Hope we get these as a running set in the app. Its going to be a fun year if this trend continues, happy to see how much action has already been going now that this stuff has come fast and furious. My compliments to the chef aside, this is definitely the best looking year of Huddle so far. Not even close.